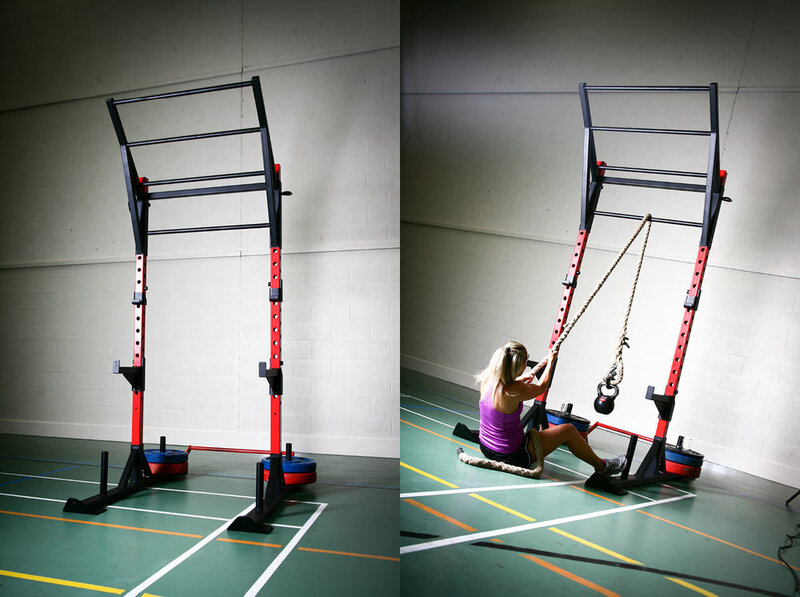 The Warrior Rig is the ideal option for home gyms and gym centres that have limited space. It is proving to be a useful training resource on several of the navy’s ships around the world and various commercial gym facilities. It is multi-use rig and can be used as a drag sled, yoke, pull up wing and squat stand.